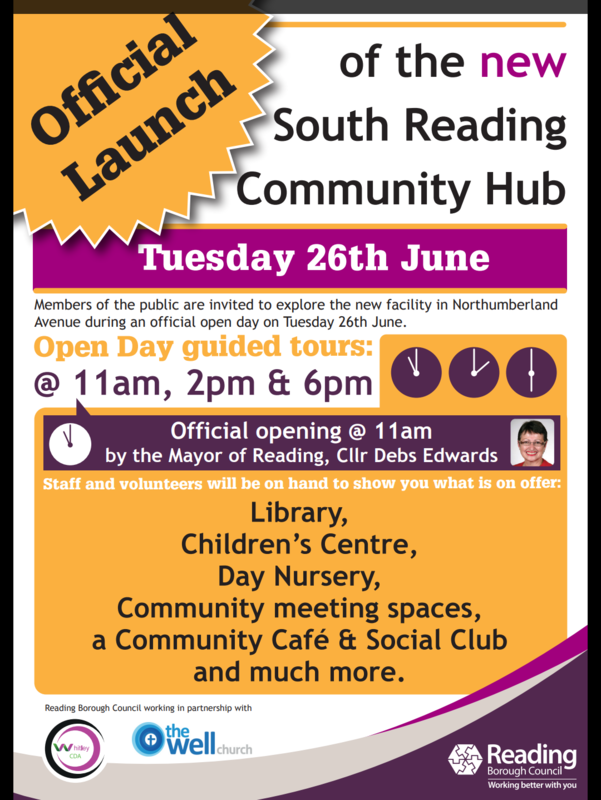 The Official opening it the new Whitley Community hub comprising the relocated library, Children’s centre, day nursery, social club and Cafe takes place this Tuesday. 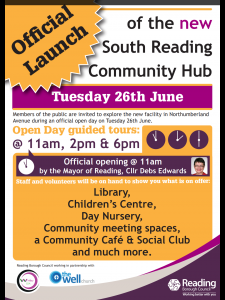 3 guided tours will be taking place with the first being officially opened by Mayor of Reading Debs Edwards. This entry was posted in Ward News on June 24, 2018 by Ashley Pearce.